On the first, I told you I didn’t like New Years resolutions because they teach people to choose half-baked goals when they (you, I, we) may not be ready to make a change. Society then excuses the rapid abandonment of that goal with the infuriating notion that “nobody keeps New Years Resolutions”. January 1st happened to fall at a good time for me to make changes. 2018 was a challenging year during which I went through two lengthy battles with depression. They came, I crashed, I didn’t so much conquer as endure, but at least I came out the other end alive and ready to effect change. The second of these began in October and spiked in November, at which point I also contracted walking pneumonia. I was capable of little besides going to work, coming home, and watching Netflix. I shoved my planner back in my bag and tried to ignore the mounting stack of unchecked boxes. It wasn’t until the last few weeks of December that I noticed myself beginning to reach for my planner—a sure sign that I was ready to get back into the productivity groove. I couldn’t just go back to my old habits, though—that way lay the broken war-carts of obligations unfulfilled. I needed a careful review of my year, and a review of the scheduling strategies that almost lost those battles with my brain. I pulled out my notebook (a yellow dot-matrix beauty by Minimalism Art) and wrote down my wins of 2018, all the great things that happened, the people I met, the adventures I took, and the exciting projects begun. This part can be hard because, as those of you with anxiety and depression well know, the good memories are often harder to call up than the bad. Luckily, I wrote many down in my planner throughout the year, so I had that to reference. The next part wasn’t as hard. I keep my failures close at hand, even if I refuse to look at them most of the time. Turning to stare them in the face took one big breath of resolve, but once I’d done it, it was easy to let them pour out. I can contribute much of this ease to my intention of fixing what was broken. That inured me to the full effect of digging through last year’s hardest truths. Laid out, there weren’t as many as I’d feared. There were still a lot, but once I’d gotten them into the light of day, I could see what I was dealing with. Much like the adage that you can’t edit a book you haven’t written, you can’t fix a problem you haven’t admitted to. My biggest problems in 2018 could be grouped into three categories: emotional health, energy, and time. I looked at each category and brainstormed ways in which I could improve myself in those categories. I ended up with things like eating better, taking my meds consistently, and not scheduling like a maniac. I also ended up with things on my list like “take time to decompress” and “read for fun” and “spend time with friends”. Those are all things I feel guilty for doing most of the time, because I’m not spending my time “productively”. Obviously, my relationship to the concept of productivity also needs to change. Once I had a list of things I needed to do, I broke those down into actions. To eat right, I needed to make sure I had good food in the house. To make sure I got creative work done without overwhelming myself, I settled on a schedule based on chunks of time, not amount of work, and those chunks of time aren’t locked in. How can I increase my energy? use your light clock, be in bed by 9:30, put phone across room, don’t take naps, no caffeine past 2. Routines are something every successful and healthy person seems to have. 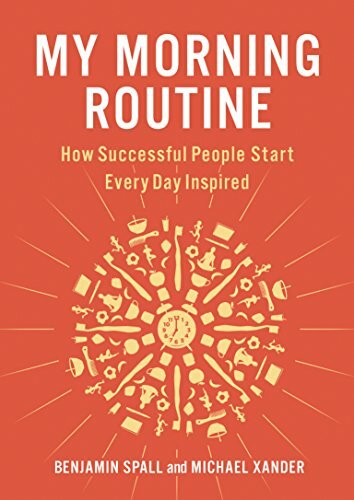 In the book “My Morning Routine” by Benjamin Spall and Michael Xander, they describe 64 of today’s most successful people with one thing in common: a solid morning routine, and an evening routine to support its success. As my mom, my roommate, and my cat could tell you, I have never developed a single routine—morning, evening, writing, shower, coffee—in all 34 years of life. Part of this is my craving for novelty. Most of it is ADD and anxiety causing me analysis paralysis whenever I have to make a simple decision. Also, the inability to go the f#$% to sleep. There are lots of reasons why routines are beneficial. Consistency—something that is as unnatural to me as eating pizza is to a snake—is one of the main things it provides. 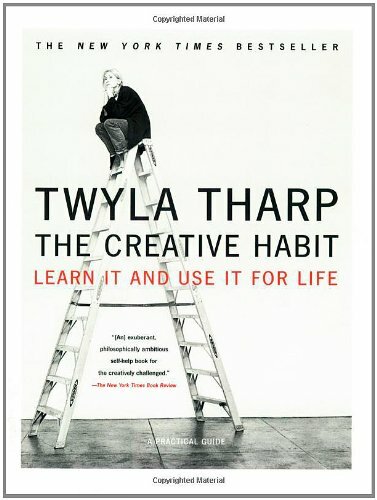 Twyla Tharp, in her book “The Creative Habit”, touts her routine as being a big part of her success as a choreographer. She works out and dances every morning, almost before she’s awake enough to think. Routines also limit a person’s decision fatigue. Decision Fatigue is a concept that states you have limited decision-making willpower in any given day, and the more decisions you have to make—whether it’s what tea to drink or whether to go with The Doctor on a time-space adventure—the more tired your brain gets, until it starts defaulting to the easy options. People with routines don’t experience as much decision fatigue, because many of their decisions—when to get up, what to wear, how to make the most of the morning—have already been made for them. Meanwhile, I’m making decisions from the moment I swat the snooze button (decision #1). The idea of morning and evening routines is daunting, but I see the benefit of limiting decisions made in the spaces bracketing the day. Then the strategic part of my brain immediately looked for ways to make the routine incorporate everything and make my routine as efficient as possible. THIS TIME though, I recognized I was setting myself up for failure. I let myself write out that step-by-step glory of efficiency, which I would need a printed sheet to remember. Pro tip: something becomes a routine only if you do it enough that you don’t have to think about it. If your routine requires a manual, you won’t stick with it. Still, that strategic part of my brain can be useful AF. So over the past week, I’ve allowed myself to write down and organize those ideas, to figure out what order to do things for both efficiency and personal neuroses (hint: yoga needs to come after journaling, because I won’t get out of bed if I have to do yoga first thing). Then I did probably the most useful scheduling thing I’ve ever done: I categorized these things into BENEFIT ZONES. These are the broad areas your specific actions benefit. For example, taking my medication affects my mental health, and doing morning pages or my EVO journal gives me a chance to dump what’s in my brain onto the page and organize it. Those both went into the BRAIN Benefit Zone. I can’t remember to do ten separate things, especially when some of them require multiple steps, but I can remember five areas that will help me, especially since Face Atmosphere Brain Body is an easy acronym. I just have to remember FABB+V and I’m good. In the spirit of gentleness, and trying to make a schedule that doesn’t create more problems than it solves, I’ve also told myself that as long as I do one thing from each of the categories, I’m good. Except meds, obviously. Those need to be every day. 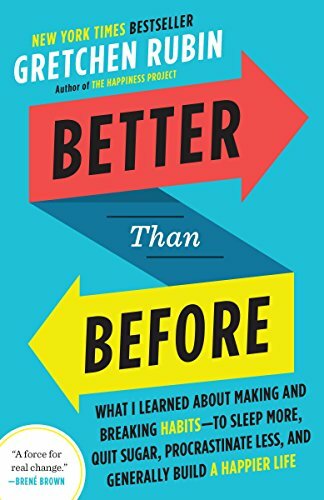 Thanks to Gretchen Rubin’s “Better than Before”, I’ve gotten some great tips on making habits. One of the top things is to decrease barriers. We instinctively seek the easiest way to do things, so it follows that by making the things that you want to do as easy as possible, you increase your chances of actually doing them. It’s kind of similar to sales. You want to eliminate the number of times you customer has to click on things in order to get to the payment page, because each click is an exit point. Just the same, you want to eliminate the number of things you have to do to start. For example. I decided I wanted to drink green tea in the morning while I did my journaling. I’m self aware enough to realize that the last thing I want to do at 5AM is walk all the way to the freezing kitchen and turn on the kettle. That means I have to, like, put on pants. Personally, I’d exit the habit highway there. To counteract that barrier, I put a tiny electric kettle in my bathroom and set up teapot, mug, and leaves next to it. Every evening, I fill the kettle and prep the leaves. Now, when I stumble senseless into my bathroom in the morning, all I have to remember to do is flick the switch. My supporting routine basically consists of all the things I need to do to make sure my morning routine goes off without a hitch, plus a little down time for reading, which is something I want to do a lot more of, both for my vocation and for my mental health and general happiness. So far, I’ve done FABB+V for almost three weeks, and it’s worked well for me. Maybe this kind of thing is a no-brainer to morning types and/or neurotypicals (or neurotypical morning-types (a.k.a. unicorns that I’m sure prance out there in a sunshiny bliss of sparkly productivity)). The truth is, it’s been one of the biggest lifestyle changes of my life. And that includes learning to sort my garbage in Japan. I am tired when I get home most days, but that’s partly the mesmerizing 45-minute commute. My current struggle is balancing that 5AM wake up with a martial arts class that goes in the evenings. I’m trying to find whether it’s better to give myself a bit of extra sleep on the days I intend to go, or the mornings after, since I often find it harder to sleep after exercising. Think about your last year (whether that's a calendar year or not) and write down all your positives. All your wins, trips, fun, accomplishments, and things enjoyed. Then write down all the things that you struggled with or regret. This might take some time and some soul searching. It might be hard. But you can’t strategize if you don’t know what you’re fighting. Look for things that stem from the same root problems. You might find the majority of yours are due to stress from work, every levels, money, etc. Once you sort those into categories, it’s time to drill down and brainstorm all the things you can do to improve your life in those areas, then figure out your specific actions and supporting preparations. For me, a morning routine has worked the best. If you’d like to try that, I suggest organizing those actions into benefit zones. See if you can’t create a morning routine that takes daily baby steps toward your goals. Then figure out your supporting routine, to prepare you for that routine of morning success. What’s your morning routine? What little rituals work for you? Does 5AM sound hellish?